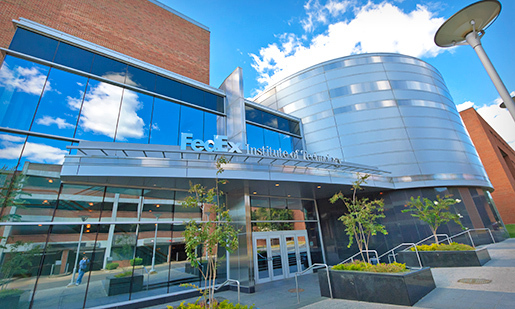 The FedEx Institute of Technology is an advanced technology and research organization that functions as a catalyst for interdisciplinary research and innovation in emerging technologies by supporting cross-campus research innovation clusters. These clusters focus on areas such as intelligent systems, drones, cyber security testing, biologistics, autonomous vehicles, robotics, smart biomaterials, additive manufacturing and precision medicine. The FedEx Institute of Technology also has great space to hold meetings, workshops and other events. The institute is located on campus of University of Memphis, it takes about 20 minutes to drive from airport or downtown to the institute. For more information please visit the FedEx Institute of Technology.